Time passes. The online editor is deep into doubt—the upcoming Winter 2013 Doubt issue, that is. She cites Voltaire, references epistemology. Then she remembers how much damn fun doubt can be, especially when one is young. So she writes about that and adds images. And, recalling that you actually are young, asks you to prepare a post, too. And to include an image of yourself, if you don’t mind, that isn’t boring. You do all that, and she posts something similar to “Delving into Doubt: Worship No Idols.” There, you reveal that you are a musician as well as a poet. But the pertinent fact that you are now pursuing a doctorate in physics—the uncertainty principle and all that—seems to slip your mind. At the readings and online, it’s clear that LPR has fostered a literary community that is genuinely interested in developing the role of the arts in society and our own lives. More impressively, the conversations among members of this community truly do span not only geography but also fields of study, socioeconomic background, gender, age and other borderlines along which too many communities become insular. Now, all that’s required is a twist in the plot. The online editor, a fiction writer in her free time, rises splendidly to the occasion. Being sufficiently experienced to skip the tedious expository stuff that no one reads anyway, she types the simple declarative sentence “I resign.” And omits more–though elements of her thought process can be inferred—to ask you, the poet-musician-physicist submitter-contributor who also happens to have been the editor-in-chief of the University of Maryland literary and arts journal Stylus and has since started a delectable beer-brewing and pizza-making blog, to serve as her successor. I’ve decided to accept the position. It sounds like an exciting experiment! I share your concerns and aspirations and look forward to being in a position to tackle them. 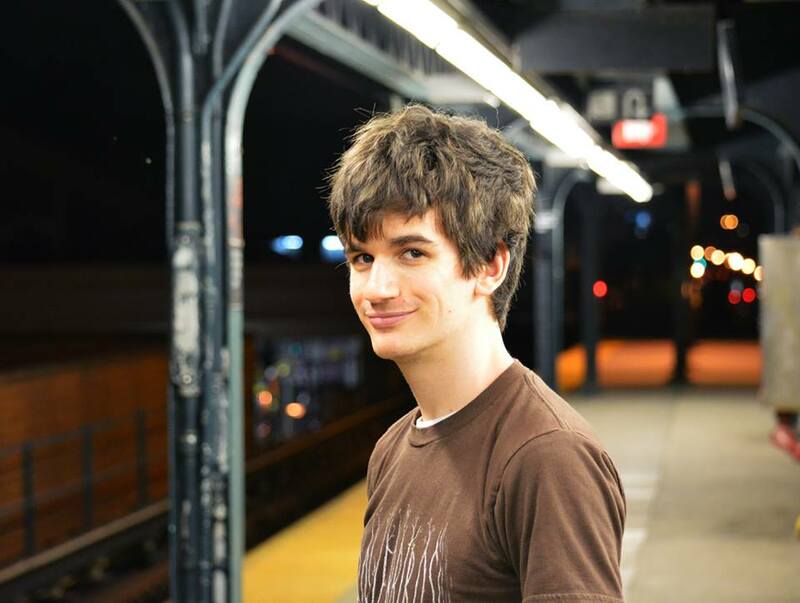 Dylan Bargteil is a PhD student in the NYU Physics Department. He studied poetry with the Jiménez-Porter Writers’ House at the University of Maryland, where he also served as the editor-in-chief of the literary journal Stylus. His poetry has been published in Little Patuxent Review and Poetry Quarterly and has received the Jiménez-Porter Literary Prize. He is also a recording musician, is currently working on multi-media and anonymous public art projects and will soon start serving as the LPR online editor. A journal such as ours requires a vibrant literary and artistic environment to thrive—and even survive. In appreciation of the various cultural entities around us, we present “Meet the Neighbors,” a series where we provide you with personal introductions to a diverse assortment. I met the people who put on the Columbia Festival of the Arts over champagne, a good way to start any relationship. We were at the launch of the LPR Audacity issue, the first time that the summer iteration of our biannual event was formally part of the Festival. I then attended an intimate reading by award-winning writer Edith Pearlman, hosted by HoCoPoLitSo and part of the Festival. I was there not only because I admired Pearlman’s short fiction but also because she was featured in our Audacity issue. My final Festival events were to be more pleasure than [literary] business: the performance of Botanica by MOMIX, a company of dancer-illusionists, and a reception celebrating the Festival’s 25th anniversary, where I assumed that more champagne would be consumed. But the derecho intervened. I was trapped in my historic house, built into the side of a hill on a steep bank overlooking the Patapsco River. No power, no phone or computer connectivity and trees down everywhere. So I sipped bottled water instead of champagne. But a mere seven miles away, Botanica went off without a hitch, as did the reception. Recalling that, I was determined to give the Festival its due by placing it first in the series of articles that will appear here in preparation for the June 22 launch of the LPR Music issue. And I asked Nichole Hickey, Executive Director and CEO, for the inside scoop. When asked to give a first-hand perspective of the Festival, I wasn’t sure where to begin or how to summarize both the Festival and my experience with it. Especially not at this time of the year, just weeks away from the 2013 season and days away from our annual gala, which this year featured Paula Poundstone. But I couldn’t let this article pass. After all, it is a perfect fit for LPR readers: you are our audience. There are so many people who contribute to the production of Howard County’s premiere arts festival each year. We are fortunate to have a talented, capable, hard-working staff, people who year in and year out help make the season the unofficial start to summer in our area. I am also lucky to work with a supportive Board of Trustees as well as the 200 volunteers who offer their time and support annually. And then there are the sponsors and donors who step up each year, providing financial and in-kind resources. There could not be a Festival without all of them. I am in my 11th year working with the Festival. What began in 2002 as a part-time role as deputy director has turned into a full-time, year-round, 24/7 job. I start with a blank slate each year, conferring with my team on what to present over 16 days in June. Our goal is to offer a varied, well-balanced lineup of non-stop events from the international, national, regional and local scenes that serves to celebrate our own community. Budget, performer availability and a host of other factors help to define each season. It’s a great deal of work, but we have a lot of fun along the way, as well. The desire to produce an arts event of this magnitude isn’t what brought me to the Festival. My husband, Michael Hickey, was a founder of the Festival in 1987, and we have remained supporters ever since. When the Festival needed someone to help re-staff the organization in 2002, they tapped into my human resources background. Before I knew it, I had stepped into the role of deputy director. Late 2004, the Board convinced me to take on the role of executive director when it again became vacant. I was tenuous during my initial year, being a visual artist who was suddenly running an organization focused on performance arts. Certainly, one of my first priorities was to identify ways to enhance visual arts programming. I succeeded in doing this, but there is plenty of room for improvement. During my tenure, film was also added as a regular feature and more emphasis was placed on literary offerings. This year, attendees will be able to enjoy the unique pairing of poet Patricia Smith and the Sage String Quartet playing a Wynton Marsalis composition. Programming that melds artistic disciplines is something that I try to bring to the Festival each year. My job is not without challenges. Budgets are tighter, fundraising is more difficult and staff reductions have occurred. These are universal issues, particularly in the arts and for nonprofit organizations. Also universal is question of audience development: how to best secure the next generation of devotees. Faced with the challenges of the past decade, economic and otherwise, we need to work harder than ever to arrive at the correct formula for making our Festival a regularly recurring success. Each year, we seek a mix of recognizable names and eclectic acts that we hope will appeal to the widest possible audience. This season’s weekend headliners—Rhythmic Circus, Reduced Shakespeare Company, Pilobolus and Preservation Hall Jazz Band—offer a balanced array of high-energy performances. Additions such as award-winning Sundance movie shorts, the return of Baltimore’s Stoop Storytelling, the zany family-friendly AudioBody, a theatrical hair and makeup competition and the Patricia Smith event add the sort of flavor to the Festival that attendees have come to expect. When asked about my favorite acts over the years, it’s tough to respond. Blood, Sweat & Tears, America and The Neville Brothers were personal indulgences and, fortunately, the performances were well-attended. Household names such as Wynton Marsalis, Judy Collins, Ed Asner and Smothers Brothers also come to mind. I love the fact that we can bring these iconic artists and others to perform in the accessible settings of our local theaters, the Smith and the Rouse. They provide a personal experience that doesn’t exist in the larger venues of the Baltimore-Washington corridor. That’s what we strive to offer at the Festival: a personal, interactive experience between artist and audience. What’s the best part of the job for me? When I stand in the lobby after an amazing performance and feel the energy of audience members as they exit the theatre. That makes all the hard work worthwhile. I can’t say where I will be ten years from now, but I do hope the Columbia Festival of the Arts is still going strong and has engaged a new generation of arts lovers. I completely concur with Nichole, having experienced what she describes for myself last year. The Edith Pearlman reading, for example, was held at a lovely Columbia venue, the Historic Oakland manor house. Sitting in the last row, I was still close enough to engage her without a microphone. But others had good questions and comments, so I remained silent. One person observed that what Pearlman had read was not quite what appeared on the printed page. Pearlman smiled, saying that she never stopped revising. We smiled in assent, and the whatever distance remained between audience and author disappeared. That reading also illustrates the kinds of synergies that can occur among neighboring cultural entities. Three organizations came together around Edith Pearlman: Columbia Festival of the Arts, Howard County Poetry & Literature Society (aka HoCoPoLitSo) and Little Patuxent Review. The first two brought Pearlman here, and the latter, through a print-issue interview conducted by Susan Thornton Hobby (who not incidentally sits on both HoCoPoLitSo and LPR boards), to an audience extending beyond county borders. I now offer “An Interview with Edith Pearlman” online, giving it international reach since approximately 10 percent of our blog readers reside outside the States. Click and enjoy! I started my short piece on acoustic art by saying that when I sit down to write, I first turn on my computer, then turn on my music. I assumed that most creative types were similar in that respect to me and artist Jennie C. Jones, the subject of the piece. Turns out that I was wrong. That someone good writes in silence was interesting enough. But I had scheduled a piece by Lorraine Whittlesey about Smith for the middle of May, so I needed to know more. First, I listened to Smith’s song “Don’t Say Nothing,” which Jen subsequently said had served as the inspiration for her story. It’s pretty good, so you might want to do so, too. Then I read the story, “Fixed.” It is unpublished as yet but will be part of a collection that Jen hopes to put out next year. You can read it here right now by clicking on the link. I might have been foolish enough to attempt to explain how the song relates to the story had Karen Garthe not saved me. Karen, you see, was slated to prepare a piece for the blog on how music drives the type of poetry that she pens. Instead, she sent me a work in progress that “demonstrates rather than analyzes” the role of music of her poetry. …Curiously, I cannot imagine trying to write to any music but silence. The search for silence, peace and quiet…why I am practically a pilgrim of. If there is music on I will listen to it, it will take the foreground even if it is intended as background. It’s impossible for me to do anything but completely listen to music if it’s on, which is how come I’ll turn off the radio in a car if a conversation is being had, and why I become wildly distressed, even unhinged sometimes, by unwanted music/sounds, which includes (especially on the subway) other people whose earbuds are shrieking whatever awfulness. Never anything good, usually. That said, nothing is more important to me than music and I couldn’t live without it. Music and Silence are my ideals…I’m a terrible autocrat here. It’s one or the other. So I had another Jen on my hands. “Fine,” I said to myself. “I’ll present Smith’s song and Jen’s story while silencing my own analytic mind. And, as a matter of respect, I’ll do the same for Karen’s set. With no further comment from me.” Or some words to that effect. So, listen to Karen’s inspiration, a section of pianist Glenn Gould’s radio documentary The Idea of North, part of his Solitude Trilogy. There’s a voice pileup at the beginning, a method that he has called “contrapuntal radio,” then Jean Sibelius’s Symphony No. 5. And here’s “Hey Now,” Karen’s contrapuntal poem. But you’ll have to click on the link to read it as she sent it. I never managed to come up with a way to transfer the formatting. I should end without another word. But I must add that more than poetry connects Karen to music. In the Sixties, she moved from Baltimore to New York City to attend the American Ballet Theater school and later studied with Merce Cunningham. 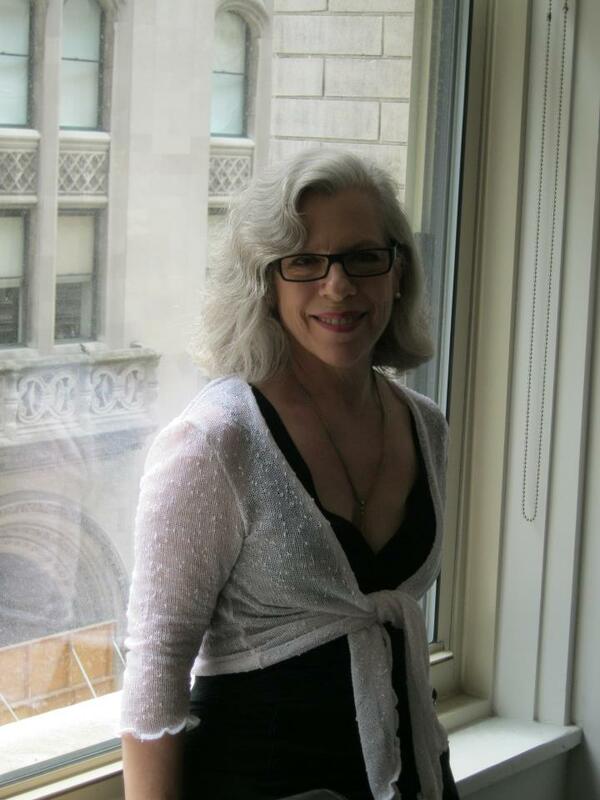 And in the Seventies, she worked for The Wartoke Concern, managing Patti Smith, among others. 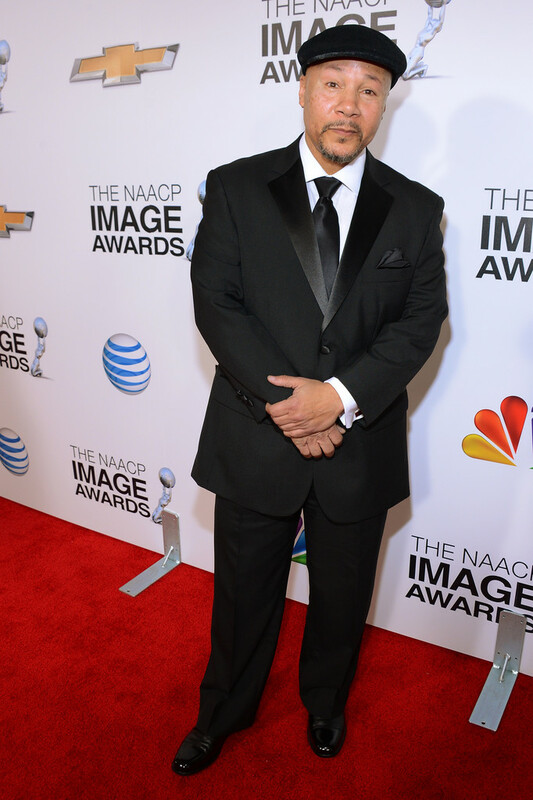 Truth Thomas on the red carpet at this year’s NAACP Image Awards event, where his book Speak Water won in the poetry category. I don’t know that I’d go so far as to say, as Ezra Pound once did, “Poets who will not study music are defective.” And, after posting musician-poet Dylan Bargteil’s comment regarding my piece “There’s Reading, Then There’s the Reading,” I can’t even say with certainty that being a musician gives anyone an advantage when it comes to compellingly conveying the written word to a roomful of people. But I do know that when it comes to Truth, in particular, being both a musician and a poet creates a special synergy. It is an honor and a privilege to be counted as a musician and to be called a poet. I am the confluence of both arts and identities, which has proved to be a lifelong joy. Many thanks to my sister Ilse Munro for her kind invitation to share a few words on the subject of my life as a musician and a poet. I think it is important that I point out from the start that I only speak for one musician-poet, namely me. My respect and love of music and musicians, poets and versifiers is wholehearted, so my reflection must be a humble one. I would never presume to paint one life experience over the complexities of all my creative kin. Every artist is singular, and every artist’s journey is unique. However, I do think that most musicians, poets and musician-poets would agree that to be good in any expression of art represents the acquisition of calluses. Some of those calluses must be born in the physical realm of the practice room, but the most important calluses to develop as an artist must be suffered by the soul. Any serious musician who attempts to make a lasting mark on the score of the world will endure rejection. The same world of rejection is enduring fact of the writer’s life. You have to be strong to deal with all of that. I am strong. I’ve had to be. I came to music as a singer-songwriter and pianist in the early Eighties, signed to Capitol Records by Don Cornelius and known as Glenn Edward Thomas. I came to poetry in the same period. Of course, I was so consumed by music that any technical awareness of the poetry in my music was incidental. While I recognized that music and poetry were related, that fresh narratives and lyrics without clichés were important to songwriting, the idea that words could exist and captivate without music did not move me at the time. That epiphany would come years later, once I returned from Europe to the States and began my formal study of poetry. Being a professional musician was then, as it is now, about gigging and making as much money as you can in that endeavor. Mind you, the record industry in the Eighties still existed as an entity that could potentially make an artist a great deal of money. Consequently, in that period of my life my focus—Don Cornelius’ focus—was on making hit records, not on making hit poems. It is interesting to see the evolution—or dissolution—of the record industry over the years. It used to be broken in favor of the record companies. Now, it’s broken for everybody. That notwithstanding, if you can play you can still make a living in the Twenty-first Century music industry. While you may have to be more creative to redefine the record business in a way that makes that possible, it is possible. Again, you have to be strong. Perhaps the best answer to the question of what it’s like to be any kind of working artist must be penciled in on a page of strength. The worlds of music and poetry are two different planets. That has to be stated plainly. Musicians often rely on ensemble interactions to hone their skills and to perform. The group is the thing for musicians, although there are exceptions. Composers write for orchestras and are exhilarated when their works are brought to life by fine families of instrumentalists. While poets may spend time with master writers in workshop settings, poets lean inward. They engage in a great deal of reading and solitary composition. Certainly poets—even iconic writers—get feedback from their peers, but the poet’s creative process is often a passionate solo expression. My artistic life is both an ensemble collaboration and a hermit’s walk. I thank God for that. It is refreshing to spend time practicing and expressing art through music with other musicians after I have spent a great deal of time alone with the pen in poetry. I need the release that comes with company. The experiences that I have had as a professional musician also inform my approach to poetry and the business of books. I don’t regard any competition other than the competition that focuses inward; that competition is only with me being the best writer that I can be. Similarly, I don’t regard any one group, canon, literary tradition or literary business approach as god, as something immutable to be worshiped, as something that cannot be challenged and creatively transcended. In fairness, while the territories of music and poetry are different, there is significant overlap. Most musicians want to be heard, as do most poets. Big egos, big hustles and big cliques abound in both artistic settings. There is no sugar-coating that. However, the creative weight of both genres is significant and of equal value, at least for me. Without question, many poets write while immersed in music. Langston Hughes often wrote in blues clubs. He also traveled with a typewriter and a record player for his 78s. Conversely, many musicians are inspired to create compositions as a result of their encounters with poetry. The iconic song “Strange Fruit,” popularized by Billie Holiday, was inspired by a poem written by Abel Meeropol. And serving on literary journal editorial boards such as those of Little Patuxent Review and Tidal Basin Review feels a lot like musical collaboration. No doubt, any thoughtfully published journal is something akin to a symphony of words. Still, a legitimate orchestra-like composition comprised entirely of poetry would be a wonderfully satisfying piece to witness. I’m still waiting to hear it. There are times when I feel that I exist between two worlds, and balancing those two artistic residences is difficult. As previously mentioned, to be an artist of note in any genre requires hard work. Music is all-consuming. Poetry is equally so. There are only so many hours in a day. As both music and poetry are so much a part of me, the quest to master both art forms—and to succeed on a high level—never dissipates. For me, the challenge is finding the time to invest to be great in both genres. Yes, it’s a strength walk, a faith walk and a journey that requires a great deal of discipline. Fortunately, God has blessed me with a supportive family. He has also guided me at every stage of my artistic journey. When the time was right, I was blessed to have a recording contract with a major record label. When the time was right, I was blessed to have publishing success and, most recently, to win the NAACP Image Award for poetry. Despite high artistic ambitions, I do not know what lies ahead. But I trust God. Perhaps the best insight that I can offer is that creativity cannot be controlled—or balanced evenly like scales—when it comes to growth and achievement. Being an artist is less a matter of managing talents and more a practice of yielding to them. I am grateful for all the great musicians and musician-poets who continue to inspire me: Bob Dylan, Leonard Cohen, Roy Nathanson, Bob Marley, Curtis Mayfield, Gil Scott-Heron, Nina Simone and Patti Smith, to name a few. It is always good to know that you are not alone, even as a poet who writes alone. To be able to put a song on by a great artist is almost like an ensemble experience. 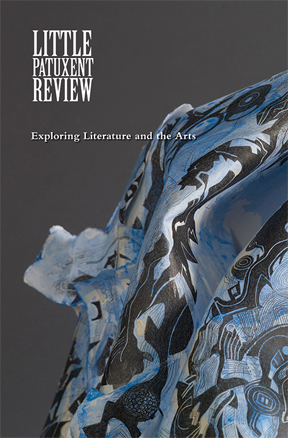 I suspect that when the Little Patuxent Review Music issue launches this summer, the act of reading will feel like a similar ensemble experience for all who have the good fortune to absorb it. My hope is that our audience will give themselves over completely to it, just as our editors and contributors have given themselves over to creation of a one-of-a-kind piece of musical literary art. Now, I know that I shouldn’t spoil what Truth shared by being that annoying aunt who can’t resist pulling out those long-lost photographs you wished would stay that way and showing them to strangers. But here is how our award-winning poet looked and sounded back in the days when the creator of Soul Train signed him. I’d say it was pretty good. Truth Thomas is a singer-songwriter and poet born in Knoxville, Tennessee and raised in Washington, DC. He studied creative writing at Howard University and earned his MFA in poetry at New England College. His collections include Party of Black, A Day of Presence, Bottle of Life and Speak Water, winner of the 2013 NAACP Image Award for Outstanding Literary Work in Poetry. His poems have appeared in over 70 publications, including The 100 Best African American Poems, and been twice nominated for a Pushcart Prize. He serves on the editorial boards of Tidal Basin Review and Little Patuxent Review, guest-editing the Social Justice issue for the latter, and is the founder of Cherry Castle Publishing. A former writer-in-residence for the Howard County Poetry and Literature Society (HoCoPoLitSo), he currently serves on the HoCoPoLitSo board. We keep coming across amazing material that doesn’t fit neatly into any of the pieces that we’re preparing. So we started the “LPR Loves…” series, where we simply share it with you without too much additional comment. Jennie C. Jones’s Soft Gray Tone with Reverberation, 2013. 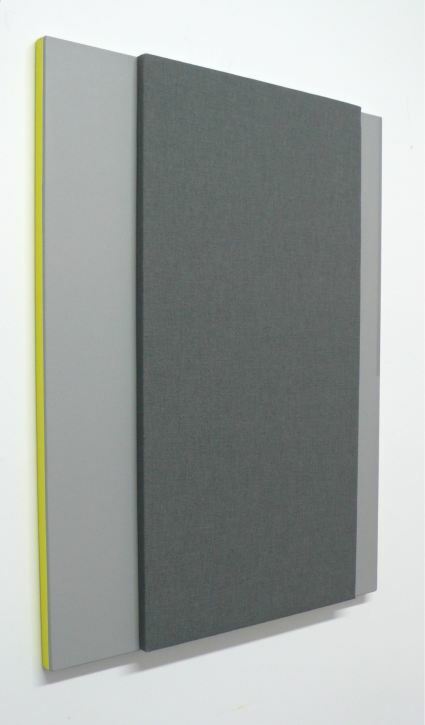 Acoustic sound absorbing panel and acrylic on canvas. When I sit down to write, I turn on my computer. Then turn on my music. And don’t give the latter much more thought than the former. Jennie C. Jones, a Brooklyn-based visual artist, also had a soundtrack for her work. Only one day she started to give it some serious thought. The result was worthy of a $50,000 Wein Prize, awarded annually by the Studio Museum in Harlem to an African-American artist and started by George Wein, a promoter who founded the Newport Jazz Festival, in honor of his late wife, a longtime trustee of the museum. Jones creates visual and acoustic abstractions that explore the histories of music and sound. Calling her approach “listening as a conceptual practice,” she is influenced by the Fifties and Sixties, drawing upon experimental jazz and minimalist art and embracing improvisation, found objects and the material culture of music. Jennie C. Jones from Smack Mellon on Vimeo. How does your playlist influence your creative work? Leave a reply to let us know. We never had a sign that said, Right now, start a new literary review. There weren’t any voices in the winds. No beautiful angels flying into our minds, nesting on our sternums, singing in our ears. We just found each other. 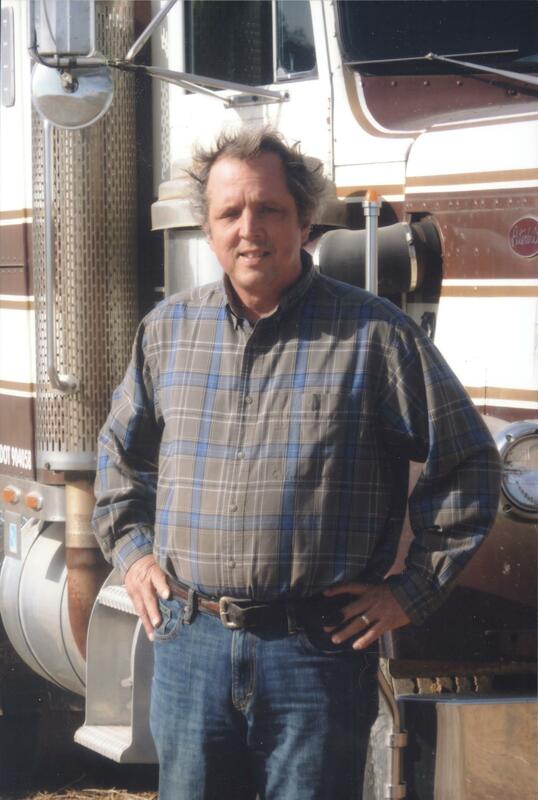 Editor Hal Burdett found himself when he retired. It took him 81 years, 60 of those spent writing columns in The Baltimore Sun, The Washington Times and other Metro newspapers. Raphaela Cassandra found Hal. The May-December pair next found poet J. Wesley Clark. It wasn’t hard to spot Jim. His familiar beard has grown through ten US presidents. He has published 11 poems a year for over 50 years in well over 300 literary magazines. His books include Daughter of the South County, Asleep With Whippoorwills: New & Selected Poems 1970-1995 and I Am Paraguay. Jim found me. I’d been dodging success as a poet for 30 years and begun focusing on book reviews and essays. I’d written 35 in the previous year, enough to see a lot of new writers and styles and exciting presses. I was thrilled and jealous, especially when writing reflected experience that was “street” but had a polished sense of craft. All of us had a feeling that writers in the region shared a dream about life. We also knew that elastic forms existed all over the planet. Creating Free State Review was a way to combine them—writers who smelled of seawater, writers who had metal parts and others scented by chlorine or mud. The language seduces us. When words are set beside vigorously lived moments, the experiences dazzle and the art moves us deeply. We knew that we needed a website, whatever that was, but we had no idea how to advertise that we were accepting submissions except by word of mouth. We wagged our chin-choppers for three months before anything appeared in our box. The first parcel we considered included poems by Chris Toll, Edgar Gabriel Silex, Barbara DeCesare and Jessica Lynn Dotson. The first three were veterans, having eight books between them, but Jessica was a new arrival. She wrote about auto mechanics and had only had one poem posted—and that on a site since abandoned. Others slowly handed over some poems or an essay or a short. Some such as Rachel Adams and Scott King were strangers who came to us the way that editors sometimes have of sensing other editors. Some such as Beth Spires and James Robison were friends who wanted to go on the journey. There was only one rejection for that first issue. Our raft was a big one, and the Argo could make a sailor out of any cowboy. The press given about our first issue, its growing distribution (Hal, like all good newspaper reporters, is a fanatic about distribution), our crazy launch at Ram’s Head in Annapolis and the rising murmurs about our next issue were impossible to predict, especially given the small number of submissions. 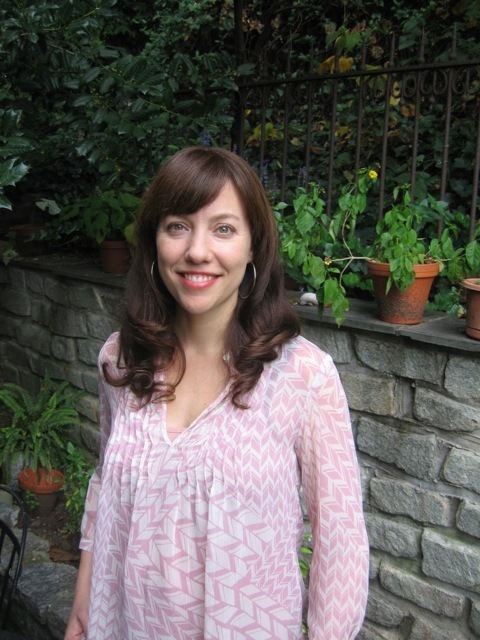 I’d been courting Bethany Shultz Hurst for almost a year, following her work in literary journals across the country, anticipating a book that I wanted to review. After we accepted her poems, she became a finalist in the Yale Series of Younger Poets Competition, as did the local author Katherine Cottle, who had some great titles with Apprentice House. Similarly, our new poet Jessica subsequently had poems accepted by five other journals and was nominated for a Pushcart Prize. We’ve since come to pride ourselves on seeking and finding authors on the rise, at times weeks, at times months shy of a break-out year. In the next issue, there are two authors, Kevin Lavey and Dan Ferrara, who would make me shake. I found Kevin’s story in a pile of rejections for a fiction contest run by the Maryland Writers’ Association. It was the only one that I liked. Kevin and I met for coffee at Artifact and talked it through three or four revisions before we accepted it. A month later, he received a Maryland State Arts Council Individual Artist Award for Fiction. Dan Ferrara—who knows where this cat’s going to prowl in six months? Mostly the demons chase us, but every so often a certain writer turns and chases those demons right back. Ferrara’s got a purr that would scare any hungry coyote. A reporter asked last month if there was a particular writer that I hoped to get into our journal. Yes, I answered, but the perfect writer has no name, no zip code. We’re searching, turning over stones, hoping that he or she will find us. Perfection isn’t a state, it’s just a single moment in a changing, stirred-up world. Here’s the dope: we’re trying to meet those moments and connect and put them into print. It’s partly beginner’s luck that we found so many talented authors, but the fact is that we’re not beginners. Hal had came up at The Sun under HL Mencken, and that wizard’s two literary journals had sparked an early interest for the enlightened conversation that the arts bring to our day-to-day. Jim was a foreign correspondent in Mexico and Cuba. We’re an older Sunshine Club of hard-knocking dreamers. Ours isn’t the coolest, hippest journal out there. We’re no Fence, Coconut, Dzanc or Mud Luscious. We’re no Adam Robinson. And we don’t know all those stars making life-changing one-shot films or posting about zeroism or “the new severity.” We’re too old school for that. We still enjoy reading without having to plug in something, all the more so if we’re snuggled under a quilt. And we believe in public readings, in the live poetry scene, in bringing words to people’s ears and not just their eyes. Raphaela is helping us with this, setting up readings at The Writer’s Center in Bethesda, East End Book Exchange in Pittsburgh, Minás Gallery in Baltimore and Mystery Loves Company in Easton. Her take is that life is too messy without literature. Raphaela designs robots at the Naval Academy and helped attract St. John’s College astrophysicist and poet Jim Beall to the Review. His “Odysseus” includes images such as “axe murderer” and a boat run aground in the mountains “wrestling with legacies” as he speculates about the poet and dreamer in each of us. In the modernist world, the heroes are all lonely creatures. They deal with their mortality all alone. 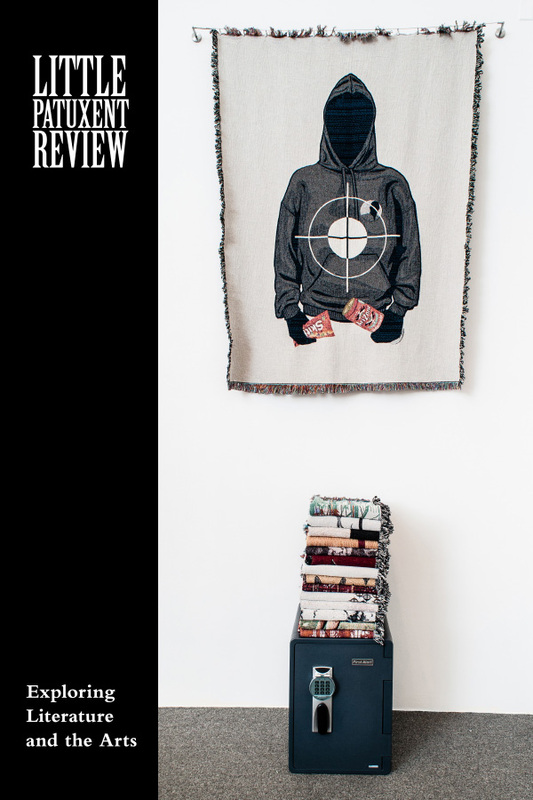 There’s not much tension in that, but these Free State Review authors focus on moments of separation and slipping away, the husband taking a job somewhere else, the father endlessly repairing his car in a late night garage but driving nowhere or a brother’s suicide. Empathy is the perfect countermeasure for 21st Century isolation. 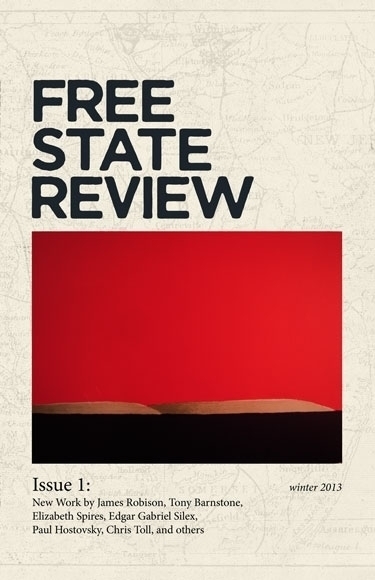 This is why Free State Review is not just a journal. It’s a love affair. Maybe we saw something for a moment and suddenly knew that our lives would be different. Knew this in spite of our eyes being bloody from staring at nothing so long. We saw it and knew that we wanted this love, this flash of hope, this electric profile that was there for an instant, then was gone. So, this time we decided to follow it, to see where it led and—chanting some and jigging some—disappear into its miracle of words. As someone who is new to the world of literary publishing but not the world at large, I wish Barrett and his band of seasoned beginners all the best. And remind them that small literary journals like ours have a cultural influence that is disproportionate to their size. At LPR online, emerging and lesser-known writers and artists have always received precedence. But—first and foremost—we love showcasing those whose debut literary and artistic works have appeared on our pages. Which is why we started work on such a list, posted on this site, and the “First and Foremost” series, where our “firsts” can speak for themselves. To get things going, here’s Elizabeth Evitts Dickinson, whose first published short fiction piece appeared in our Winter 2013 Doubt issue. One day, I started hearing voices. I had been warned that this might happen, but it still came as a shock when they arrived. The first to speak was Isabelle. I was driving home late one evening from a friend’s house when I passed a furniture store that I had passed many times before. The business is in a renovated warehouse fronted by a plate glass window that offers a full view of the interior. It’s the kind of design-not-within-reach store that sells contemporary wares displayed in perfectly conceived groupings as though the sophisticated homeowners are about to walk in, sit at that Le Corbusier dining table and enjoy a good Bordeaux. It was late. The store was closed, but the security lights warmed the window display and the glow hit my peripheral vision. I turned to look for that split second that it took to drive by, and that’s when Isabelle appeared. I can’t remember exactly what she told me that night, but I do remember this: she was on the outside of that store looking in and was desperate to climb inside and pretend that the clean, orderly space belonged to her. She also wanted to take a nap. Then came this sentence: “Isabelle wondered how long it would take for the police to arrive.” That became the first sentence of my short story “Danish Modern,” which appears in the Winter 2013 Doubt issue of Little Patuxent Review. “Danish Modern” is the first piece of fiction that I have completed and the first that has been published. So how, at age 39, did I start hearing voices and writing fiction? Annie Dillard stated in The Writing Life, “How we spend our days is, of course, how we spend our lives.” I walked out of a good museum job at the age of 25 because I realized that I wanted to be a writer. Specifically, a nonfiction writer. I wanted to tell true stories. Writing has always been the lens through which I have seen the world. It is how I have harnessed my curiosity and made sense of things. Journalism became the conduit that allowed me to invite myself to places that I knew nothing about and learn. I liked talking to people, understanding different points of view and distilling complex ideas to their essence so that readers could enjoy the result. I was happy in that work for many years. Telling true stories was enough. And then one day it wasn’t. There were many reasons for this shift—rounding 40, my father’s untimely death, the birth of my daughter—but the gist is that I no longer felt content with the limits of nonfiction and journalism. I wanted to explore questions without easy answers and work those questions out on the page. At first, timid to stray too far from nonfiction, I delved into the personal essay form. I re-read Didion, Dillard and White. I remembered the power of personal essays such as White’s “Once More to the Lake,” with its chilling ending and insights on aging, to transform everyday experience. But it was re-reading White’s short fiction work “The Second Tree From the Corner” that stirred something in me. There was his lean and powerful prose, of course, but also the recognition that he had allowed himself to venture where his mind took him—essay, personal essay, poetry, fiction, children’s literature. I still have the desire to unpack the human experience, examine it and report back. I simply want more outlets for that process. The power of fiction is its ability to synthesize and convey the inner terrain of the human experience. Fiction offers its own truth. I’ve since turned my journalism training inward to make my thinking the subject. The result is an epistemological tool that chips away at everything. I am more curious, more alert than ever. I no longer edit questions beyond the pale because they deviate from fact or the interests of a magazine editor. I allow my mind to wander and to see the stories that exist within the connective tissue of my thinking. I allow myself to hear the voices. Don’t be afraid to be an outsider. So many of us pretend that we know more than we do for fear of looking naive. Journalism has taught me the value of being the outsider who gets to ask the questions. I am still learning the ins and outs of pitching literary magazines, applying for grants and writing retreats and reading in front of audiences (as I did for the first time at the launch of the Doubt issue). In each of these situations, I sought out someone who knew the ropes and could offer guidance. Seek people who are smarter than you. The adage about picking a tennis partner who is better than you because it improves your game also applies to writing. Workshop in a healthy, productive environment. “Danish Modern” benefited from the thoughtful feedback of two writing workshop partners. Both offered different insights, but, most importantly, both treated the work with respect. They had to suffer through some terrible writing, but because of their considerate and fruitful comments, I learned, I improved and I moved on. Never stop honing your craft. This doesn’t mean going into debt for an MFA. I have no advanced degree, in part because I could never make the finances or the timing work. But I have been a consumer of continuing education classes and workshops. CityLit Project, Creative Alliance, The Writer’s Center and journals such as LPR all offer great instruction on craft. If you attend a writing retreat, pick one that makes you work more than everyone drinks (or at least in equal measure!). And read. Books that I have found helpful include The Elements of Style; The Art of Time in Fiction; On Writing; First We Read, Then We Write: Emerson on the Creative Process. And, of course, this blog (see the “Concerning Craft” series). 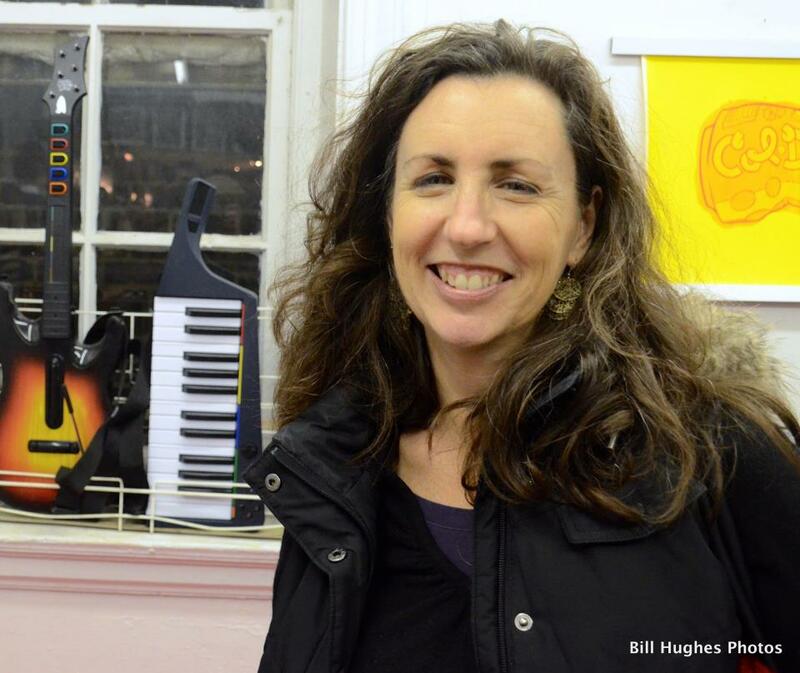 Elizabeth Evitts Dickinson is a journalist, author and editor whose pieces have appeared in The New York Times Magazine, Slate, The Baltimore Sun, Urbanite and Little Patuxent Review. She is a contributing editor at Architect and Architectural Lighting and the home and design editor for Style Magazine in Baltimore.